Ministers will have to close one or two brand new coal fired power stations if they are to meet climate change targets set down in a landmark court case last year, Trouw reports on Friday. In June 2015, judges in The Hague ruled the Dutch government must reduce greenhouse gas emissions by at least 25% by 2020 compared with 1990 – in line with international agreements. This can only be done relatively cheaply by closing the power stations, according to a confidential report by research bureau CE Delft. The report is due to be published next week, but Trouw has a leaked copy. Alternatives to shutting down the power stations would be costly and would lead to higher petrol and energy prices and increased subsidies for solar and wind farms, the CE Delft report said. Closing one of two power stations would cost the average household €30 a year, but the carbon dioxide measures would add €80 a year to household bills. Economic affairs minister Henk Kamp published his initial plans to meet the court ruling in April. They include making more efforts to cut energy usage and to store underground CO2 produced by the new coal-fired power station near Rotterdam port. The plan also envisaged closing down two old power stations. 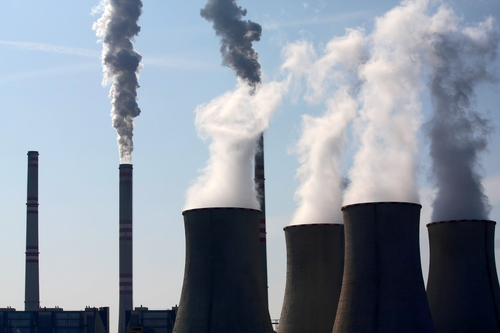 Five coal-fired power stations have already been closed down. Five are left, the two old ones and three modern power stations run by Uniper, Engie and RWE. They have threatened to take legal action if the government orders their closure. The Urgenda legal case was brought by 886 Dutch citizens who said the government is not doing enough to avoid climate change. The court ruled last June the government has a duty of care and cannot hide behind claims that the Netherlands is a small part of a worldwide process. The Netherlands is on target to reduce emissions by just 17% by 2020.